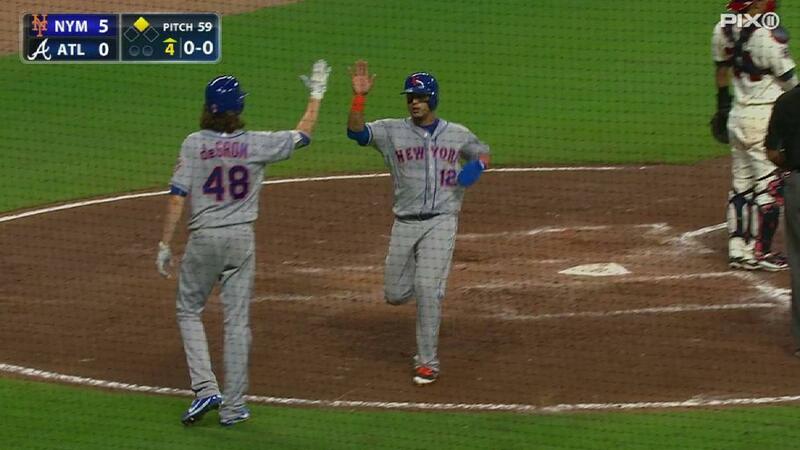 After manufacturing the game’s first two runs with four singles during the second inning, the Mets doubled their lead after opening the third inning with three consecutive doubles. Cecchini added an RBI double in the fourth to provide more comfort for Jacob deGrom, who notched seven strikeouts and allowed just one run over seven innings. deGrom has allowed three runs or less in four of the five starts he’s made since he allowed five runs during consecutive outings in August. 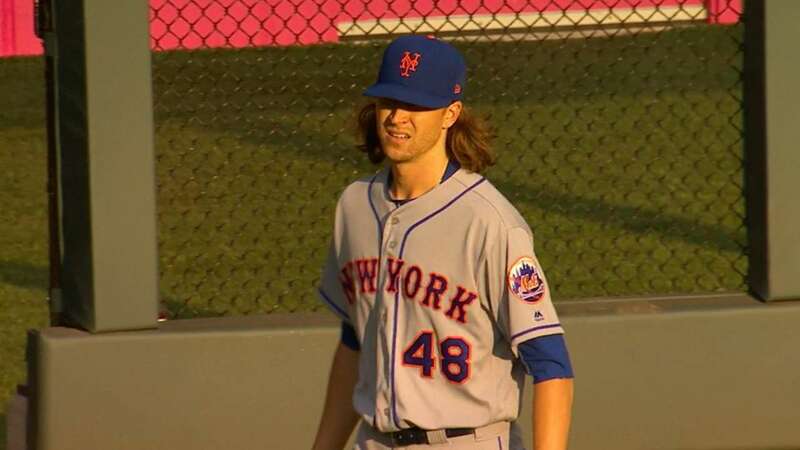 deGrom also set career highs in wins (15) and innings pitched this season. He has thrown 195 1/3 innings in 30 starts and hopes to reach his goal of 200 innings by the end of the season. Dickey threw more fastballs than usual as he seemingly struggled to get a feel for his knuckleball during the early innings. The 42-year-old veteran, who won the 2012 National League Cy Young Award while with the Mets, allowed five earned runs and eight hits over five innings. He surrendered seven of those hits within a span of 10 plate appearances that began at the start of the second inning. Since producing a 2.85 ERA over a 12-start stretch that concluded Aug. 13, Dickey has produced a 6.55 ERA and allowed opponents to hit .333 over the six starts that have followed. His recent struggles have at least given the Braves more reason to think about whether to exercise his $8 million option for the 2018 season. 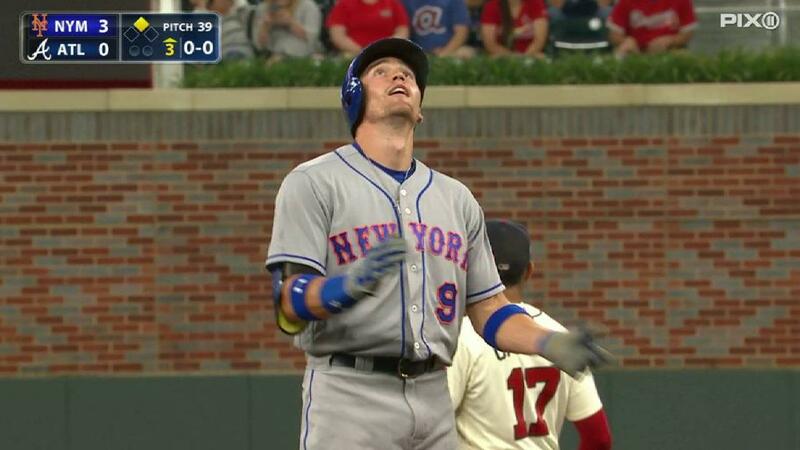 Triple double: After deGrom stalled the second-inning charge with what appeared to be a botched squeeze-bunt attempt, Aoki, Brandon Nimmo and Asdrubal Cabrera prolonged Dickey’s troubles as they opened the third inning with three consecutive doubles. Aoki added a seventh-inning double that positioned him to score on a double by Smith. 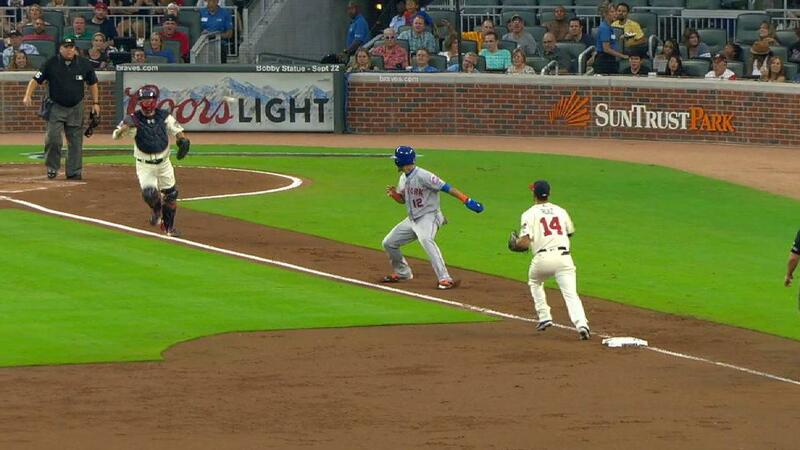 Free power: deGrom pitched around a Freddie Freeman single that put runners at the corners with one out in the first inning. But he lost the Mets’ shutout bid when he allowed Freeman to drill an opposite-field homer with two outs in the seventh inning. 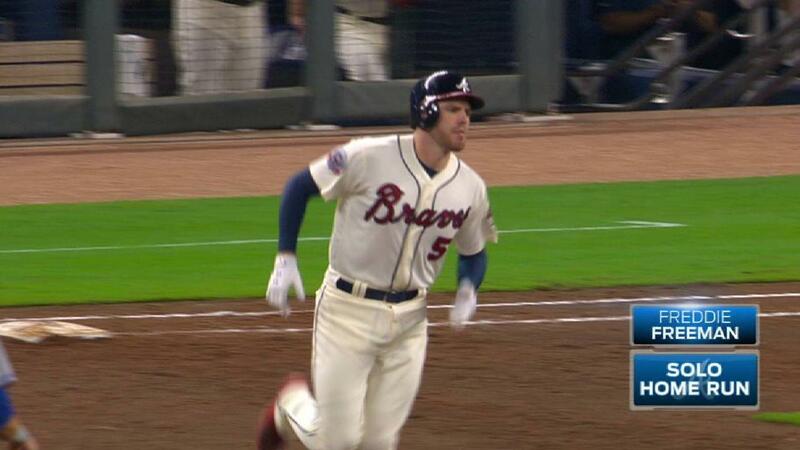 Despite missing six weeks with a broken wrist, Freeman needs just three more home runs to record his second straight 30-homer season. Mets: Robert Gsellman will start the series finale against Atlanta on Sunday at 1:35 p.m. ET. Gsellman has a 7.61 ERA in eight road starts this season, but has pitched well against the Braves. He is 2-0 with an 3.86 ERA in 11 2/3 innings pitched at SunTrust Park. Braves: Atlanta will send Julio Teheran to the mound in Sunday’s series finale, which is set to begin at 1:35 p.m. ET. Teheran has allowed three runs or less in four of five starts dating back to Aug. 14, when he regained a feel for his slider while facing the Rockies at Coors Field. Jaylon Thompson is a reporter for MLB.com based in Atlanta who covered the Mets on Saturday.